Sometimes it could be difficult find the perfect location for the television in the room, these large black screens impoverish our furniture and not do justice at it even after choosing it with attention and love. 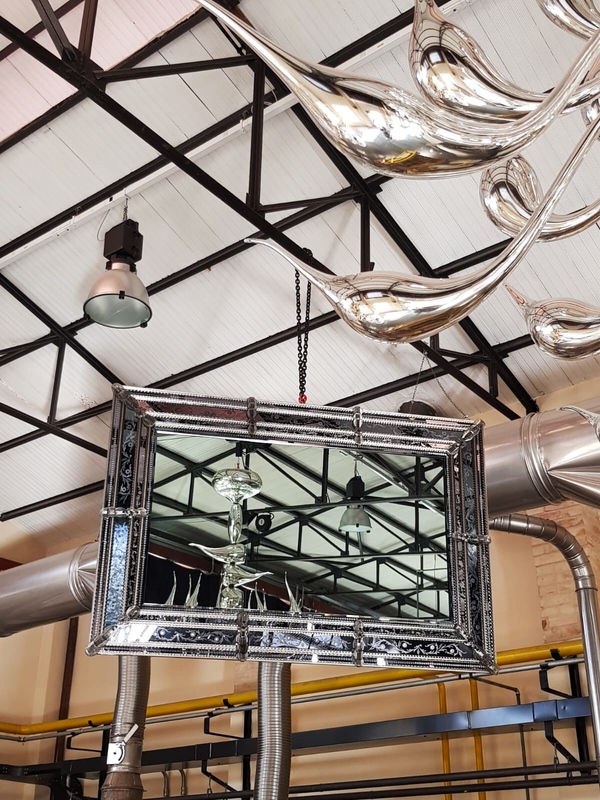 We believe we have found the best solution: putting it in our mirrors. 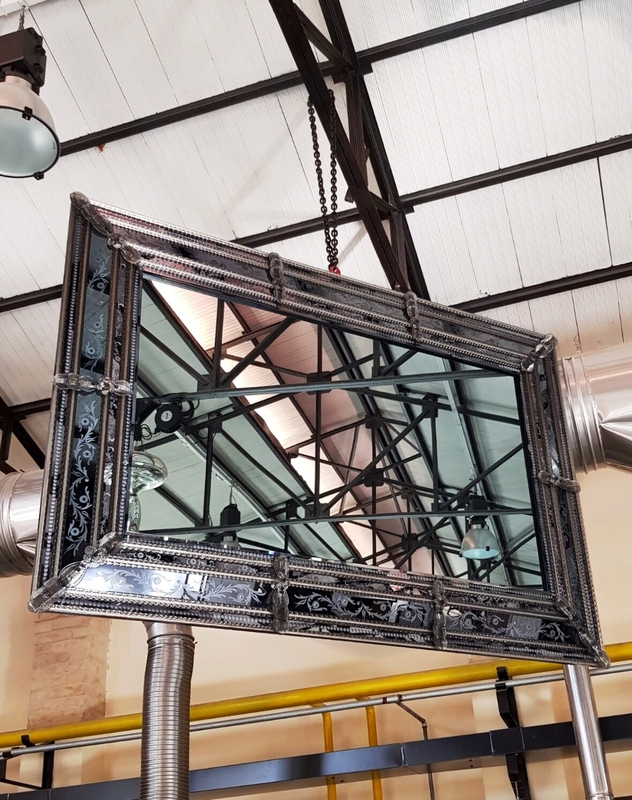 This mirror in particular was made for a 65-inch TV, with the typical Venetian style but renewed by a modern shade of gray that makes it very elegant and by the meticulous handmade engravings realized with the wheel and finally polished. 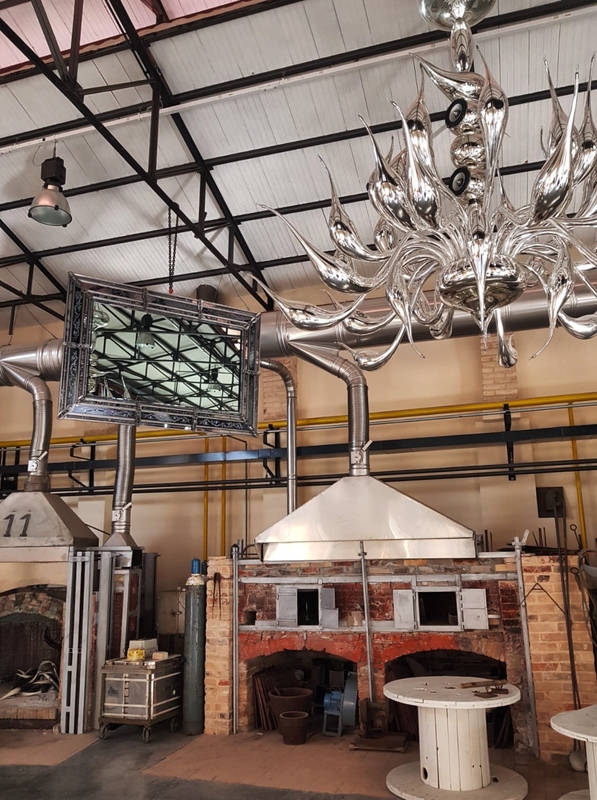 Commissioned by Murano Gallery LUAB, which offers artists, designers and glass master's works.